XXIV, 406 p., 11 ill., 17,7 x 25,4 cm. Edited by Faustino Fabbianelli, Eberhard Heller, Kurt Hiller, Reinhard Lauth, Ives Radrizzani and Wolfgang Schrader. In cooperation with Christian Kauferstein, Petra Lohmann and Claudius Strube. 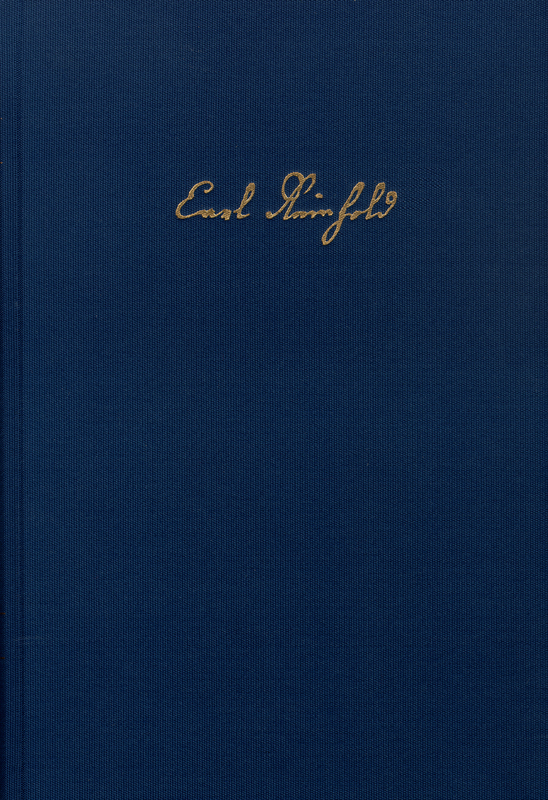 Among other things, this volume contains the correspondence between Reinhold and eminent contemporaries such as Justi, Erhard, Forberg, Kant, I. }, von Hardenberg, Maimon, Schiller and von Alxinger. Reinhold‘s ›Letters on the Kantian Philosophy‹, his ›Essay towards a Theory of the Faculty of Representation‹, his ›Beyträge zur Berichtigung bisheriger Mißverständnisse der Philosophen‹ as well as the origins of the ›Fundamentschrift‹ play a central role in these. Apart from this, there are references to Reinhold’s essays which were published mainly in the ›Teutschen Merkur‹ on various subjects such as law, morality, religion and celibacy. In addition to the correspondence between Reinhold and Wieland it is primarily the correspondence with Jens Baggesen which gives the reader some insight into the philosopher’s private life. The volume contains detailed indexes of subjects, persons and places as well as lists of Reinhold’s writings and reviews from 1791. Cette correspondence rigoureusement présentée et renforcée par un excellent appareil critique constitue un outil de travail idéal non seulement pour les chercheurs spécialisés sur cette période, mais aussi pout rous les lecteurs désireux d'une porte d'entrée originale en vue d'en découvrir la genèse.